Every weekend is worth celebrating when you can relax over a good brunch. Food Network host, cookbook author, celebrated chef, and mother of three, Gale Gand has long made brunch a part of her life because it’s the easiest way to gather around the table with family and friends. Now, in Gale Gand’s Brunch! she shares 100 recipes for scrumptious brunch fare, all destined to become household favorites. Traditional breakfast treats become inspired dishes when Gale shares how to effortlessly enliven the basics, like Iced Coffee with Cinnamon-Coffee Ice Cubes, Baked Eggs in Ham Cups, and Almond Ciabatta French Toast. In five mini-classes, she teaches how to master easy but impressive classic egg dishes–omelets, quiches, strata, frittata, and crêpes–with numerous variations on each. Finally, no cookbook by Gale would be complete without recipes for the wonderful baked goods she’s famous for, such as Ginger Scones with Peaches and Cream, Moist Orange-Date Muffins, Glazed Crullers, and Quick Pear Streusel Coffee Cake. 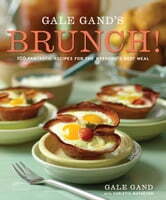 Special occasion or not, brunch is a cinch with Gale’s irresistible recipes. Start off the day with zesty Breakfast Burritos for the kids, or wow visiting in-laws with Poached Salmon with Cucumber Yogurt. Anyone will find Gale’s salads, soups, and sides delicious and simple, and with 60 color photographs, you’ll be enticed to try a new recipe every weekend. Wake up to a great weekend with Gale Gand’s Brunch! 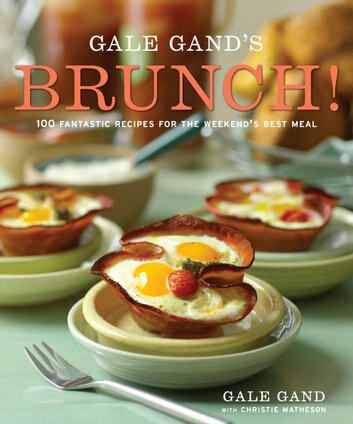 Books related to Gale Gand's Brunch!